For many people single malt whisky is the true thing. And as far as turnover and profitability go … they sure are the real thing. 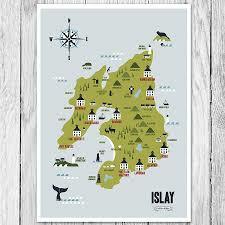 Especially the ones from the Island of Islay are considered among the world’s finest drinks. Peaty, earthy, full of character. Aged in barrels for decades rather then years. So … I made single malt before. With an iStill 50 that didn’t have the catalyst or powermanager yet, so less sulfur control and a pretty steep 50% power input for the finishing run. I made it with a fores cut only, and went deep into tails. The goal was to make a complex whisky that would need 5 to 10 years of aging. I oaked it for a few weeks on Am. White Oak staves that had been toasted at medium + level. It then went – at 58% – in the bottle for further aging. Between wood aging and bottling up, only coffee filter filtering was applied. Now, a year and 8 months later, the peat really shines thourhg. It is still young, but the product is very, very promising. It inspired me to start making single malt again, but now with a different approach. I will now use the catalyst and the power manager. And make slightly bigger cuts for heads and tails. My goal? To make a fully drinkable single malt in 6 to 8 monhts instead of 6 to 8 years or 12 to 30 years old. Will it translate into a product that is professionaly feasible? I am pretty sure it is. With better controls, a more modern distillation approach in combination with better cuts management, and by using more complex wood, making a perfect Islay Style Single Malt Whisky should be possible in just three years, when using a 225 liter barrel. Here’s my take on it. First, with an iStill 50. I invite all of you who are willing to enter the single malt whisky market to first get your recipe development done with a smaller rig. And after that? Easy! We scale up to an iStill 250 or iStill One! For mashing I will use my Braumeister 50 liter beer maker. Not ideal, since it has a hard time working with anything smaller than regular malted barley (and peated barley malt is dried and slightly smaller in size than regular). Also, it won’t get me above 6%. But I have it in my showroom, so let’s put it into practice. And let’s not put more stress on lead times by “confiscating” one of our new fermenters/mashers from the production line. – Up the temp to 72 and keep it there for 15 minutes. I will then raise the grain tube, take out the wort, and put the wort in my 200 liter fermenter. Next step is that I will sparge the grain in the grain tube and use the sparge water to start up another 50 liter mash. I will do that 3 times, which should get me around 160 liters in the fermenter. With some 125 grams of yeast, and at a temperature of around 27 degrees, it should ferment dry in around 3 to 4 days. I will leave it for a week so it can settle and de-gas, prior to running it. I will check for pH but all malt gives quite a pH buffer, so that should be fine. Nutrients? Maybe a minimum addition of 1 gram per 20 liters. – Full throttle in potstill mode. – Manual power override to 38%. In both cases: no carbon filtration. The tails (collection between 96c and 98c) will be saved, hydroseparated, and added to a next series of strip runs. Depending on mash water and fermentation pH, maybe I will introduce some backset to the mashing and/or fermenting process. The hearts will be diluted to 60% and will age for 6 months (+/-) in a Medium+ Toast iStill Barrel of 30 liters. After barrel aging, I will dilute to 45% and give it another 2 months to settle out, prior to bottling.